Sage has published an FAQ with answers to some of the most important questions raised among the Sage Partner community in connection with the re-branding effort underway in North America. 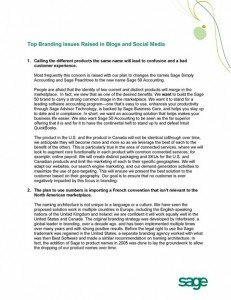 On the heels of a webcast that provided a glimpse as to how some of the Sage products will be renamed, this FAQ provides a bit more detail about how the rebranding will be executed and what it means to Sage partners. Click the thumbnail image to download.